When you’re just getting started with Google AdWords, then you’re bound to make 2 costly mistakes. The worst part is that you won’t know you made a mistake, so could easily waste hundreds or even thousands of dollars of your ad budget before catching on. That’s great news for Google’s P&L, but terrible for businesses. The reality is that Google does a very good job at encouraging new advertisers to set up their campaigns incorrectly. That’s right, if you simply follow Google’s step-by-step instructions and recommendations to set up an AdWords campaign, then you’ll make the costly mistakes I’ll highlight in this article. What are these costly mistakes I’m referring to? If you’re not familiar with Google’s two distinct ad networks, then click here to read The Difference Between AdWords Search and Display Networks. As I mentioned in that article, Google encourages businesses to set up campaigns to target both networks. So it’s no surprise that many businesses end up advertising on both networks without fully understanding where their ads are going to be displayed. Most new advertisers think the ads are only displayed on Google.com, but that’s not the case when your campaign is also targeting the Display network. That means a large percentage of your ad budget will be spent on ads you didn’t intend to buy! To be clear, I’m not saying the Display network is bad. In fact, the Display network can be a great option for many businesses. What I’m saying is that many new advertisers unknowingly advertise on the Display network, which wastes the budget they set aside for Search ads. The second costly mistake is using broad match keywords. Again, Google encourages broad match by making it the default keyword match type when you’re setting up a new campaign. So most new advertisers inadvertently use this match type without knowing how it works. 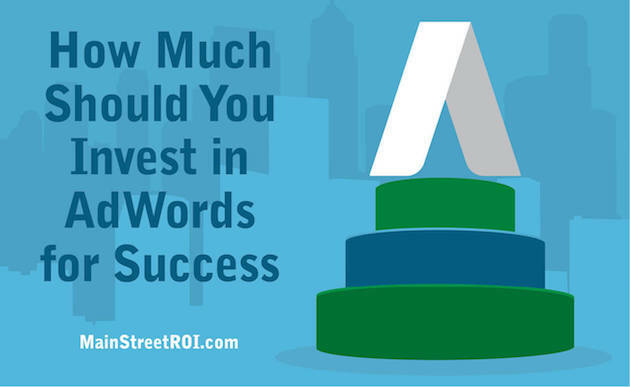 Exact match is how you would assume Google AdWords keywords should work. If you advertise on the exact match keyword “cat in the hat book,” then your ads will only be displayed when prospects search for that exact phrase. Phrase match expands your targeting beyond the exact match. If you were to advertise on the phrase match keyword “cat in the hat book,” then your ads will be displayed anytime that phrase is included in the full search. For example, your ads would be displayed for a search for “dr seuss cat in the hat book” because the phrase “cat in the hat book” is part of that full search. Finally, let’s talk about broad match, which again, is the default match type. With broad match, your ads will not only be displayed for the keyword you’re targeting, but also any other search phrase that Google deems relevant. Did you catch that? Broad match essentially puts Google in control of your ad targeting. If you’re advertising on the broad match keyword “cat in the hat book” then your ads may show for searches for “dr seuss” since that is a related search. Clearly, when you use broad match, then you could end up wasting a lot of your budget on keywords you didn’t even know you were targeting! First, I always recommend setting up AdWords campaigns that only targeting one network. That will ensure you avoid mistake #1 above. Second, when you’re just getting started with AdWords, then stick to exact match and phrase match keywords. That will ensure you maintain more control over your ad targeting. Third, to get even more help setting up your Google AdWords campaign for success, then register for my upcoming live training: How To Create A Profitable Google AdWords Campaign. During this training I’ll walk through step-by-step how to create a profitable Google AdWords campaign so you can avoid common costly mistakes like the 2 listed above. However, if setup properly (and monitored closely the first month or so) – the Display Network can be a VERY profitable place to put your ads. I have a dentist client that is running ad’s on dental related websites and he is killing it with that. Re: #2 – I couldn’t disagree with you more. When you setup a new campaign you almost MUST USE BROAD match – so that you can hone in on the words that are actually performing, AND so you can learn all the variations of negative keywords you need to add into your campaign. I promise you will be surprised at the related search terms that pop up that are not related at all. No one can possibly think of all the negative terms so, unfortunately, broad match is a necessary evil. I.E. – same dentist client target terms related to “braces”… he was showing up for “knee brace”, “elbow brace”, “angle brace” and a whole host of various terms that I ended up adding to his negative keyword list. I agree Display can be a great tactic and it does work, but I don’t recommend creating a campaign targeting both Search and Display. Regarding Broad Match, I understand your point, but I still do not recommend starting a campaign with Broad, especially for new advertisers. Instead, I would stick with Phrase match and Modified Broad Match to “fish for keywords”. As you mentioned, when you do this then you need to monitor your query reports closely to quickly negative match irrelevant phrases. This is a bit more advanced for this particular article which was geared toward new advertisers. I am interested in your Google Adwords live training, but I would like to get started sooner than Sept 24th. Is your $97 Google adwords training module the same thing? Would I be able to get the same information and start sooner by purchasing that module? Hi Jane – The information will be mostly the same so if you want to get started right away, then I do recommend the previous training.